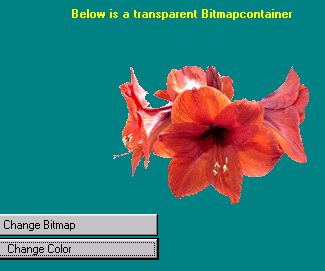 This class allows you to display Hi-resolution bitmaps transparently and works with bitmaps stored in an external file. 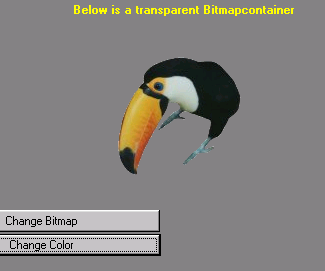 This class allows you to create a transparent bitmap in your applications based upon the transparent color you set in your program. The component is completely IDE compatible so once you registered it, you can simply drag it off the controls palette and start using it! It has been tested with VDF7 SP3, VDF8, VDF12 and VDF16.0. An example workspace to get you up and running quickly has been included. The last version includes support for loading the bitmap from the executable as a resource. You have the set this color equal to the RGB color you want to see transparently. This updates the bitmap on the screen with the latest changes in either parent or bitmap itself.